Nations Press news "NO GARAGE, NO CAR"POLICY- DO YOU AGREE?? "NO GARAGE, NO CAR"POLICY- DO YOU AGREE?? One of the worst problems of the Philippine government since the past years is the worsening traffic in EDSA and the rest in Metro Manila. A lot of plans have been layout such as improving the train systems while some are already enforced like the vehicle coding. 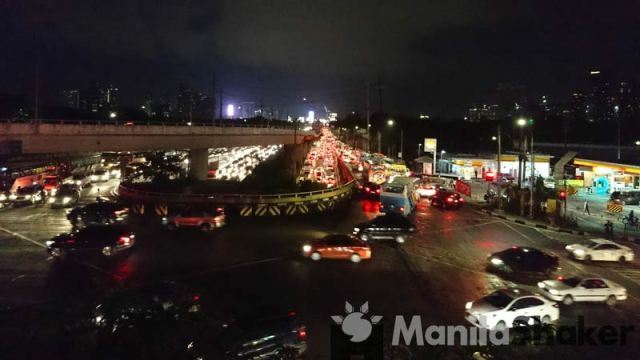 Congressman Win Gatchalian, the principal author of the “Proof-of-Parking Space Act” or House Bill 5098 believes that illegal parking in secondary and tertiary roads from EDSA is one of the major causes of worsening traffic in Metro Manila. Through Proof-of-Parking Space Act, this will enforce the “No Garage, No Car” policy on which potential buyers or owners of new vehicles will be required to submit proof of parking space. The bill will likely cover old or purchased vehicle owners to submit proof of parking in their next car registration in LTO or LTFRB. In order for the bill to become law, this will need to pass the two chambers and be signed by the President. But the congressman, on the other hand, urges Malacañang to certify the bill as soon as possible to reduce the heavy traffic in Metro Manila. Do you believe that “No Garage, No Car” policy is an effective way to unclogged the streets of metro?